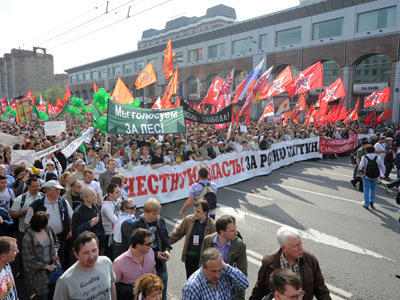 Parliamentary leftist parties – the Communists and Fair Russia – have refrained from officially taking part in the upcoming opposition protest rally, the so-called 'March of Millions'. 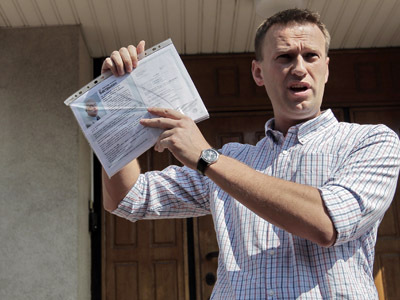 One of the organizers of the event, the Left Front movement leader Sergey Udaltsov urged the two parties to participate in the rally scheduled for September 15. “I’m calling on the leaders of the parliamentary opposition parties – the KPRF (Communist Party of the Russian Federation) and Fair Russia – to join the preparations for the September march. It will strengthen all of us and it will be an absolutely right decision (by the parties). Today we should be united in the fight for a free Russia,” Udaltsov wrote in his blog published on the Echo Moskvy radio station website. However, the Communists said they will not take part in the event. Instead, they will hold their own rallies to protest against Russia’s membership of the World Trade Organization, the rising prices for public utilities and essential goods, and to demand state support for Russian manufacturers. 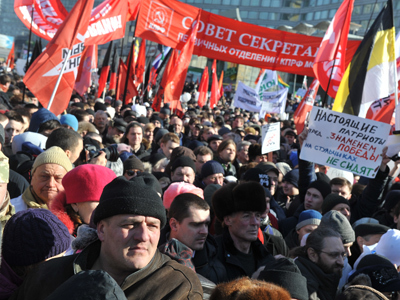 “The protest rally against price rises in housing and utilities will be held all across Russia,” KPRF member Vladimir Kashin told RIA Novosti. Senior member of Fair Russia, Aleksandr Ageyev also said his party is not planning to participate in the 'March of Millions'. Still, they will send their representatives to the rally. “Our position on the issue remains invariable. We understand that any serious protest may lead to unpredictable consequences which won’t be good for anyone. First of all, the integrity of our people and state will suffer,” he told the agency. A wave of protests swept through the country after the December 4 parliamentary poll, the result of which protesters believe were fraudulent.Tens of thousands took to the streets demanding fair elections and protesting against the ruling power in general. 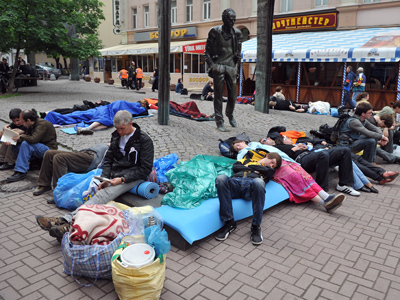 Udaltsov believes the September event may gather an unprecedented number of people. 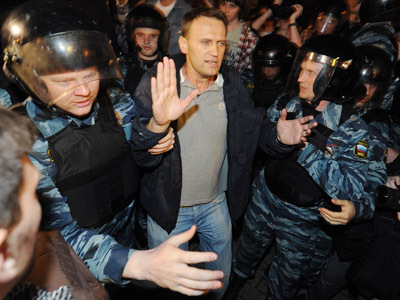 He cited a recent poll by Levada Center, which revealed the growth of protest among Russians. 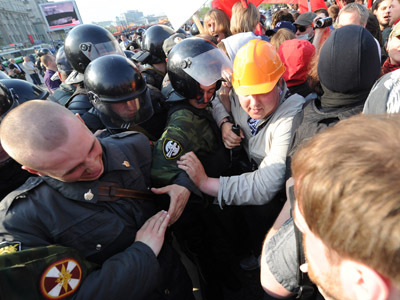 The pollster found Russians increasingly support opposition protests and are more likely to attend anti-government rallies. Some 42 per cent of respondents backed protest activities in July, as opposed to 32% in March. Almost one fifth of Russians consider taking part in a protest rally, which is 4 per cent higher than in December last year. In addition, only 29 per cent of citizens think the criminal and administrative cases launched against opposition leaders are grounded. Meanwhile, a third of those questioned said the purpose of such moves by authorities is to intimidate the protest movement leaders and to make them refrain from further political activities.